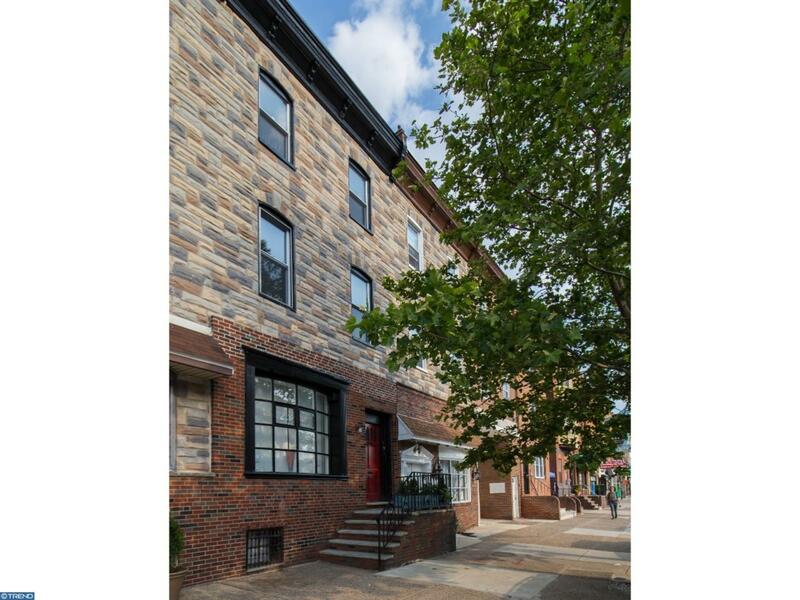 Unique opportunity to own a monster home on Broad St on the East Passyunk Square side. Street to street property with parking. 8 bedrooms, 5 baths, 3-zone central air, 3-zone heating, 2 zone hot water. A nice clean fresh property. Foyer entry to 1st floor 3BR apartment with wide open living/dining space, large bay window, floor to ceiling mirrors, high ceilings parquet floors, powder room, eat-in kitchen with tile floor, gas cooking, microwave, dishwasher, refrigerator and garbage disposal + door to yard (which continues to back street for parking). Large bedroom with double closet, tile full bath off hall and 2 more bedrooms. Private access to super clean cement basement with washer/dryer, 4 gas meters, 4 electric meters (1 for common hall) 1 gas hot water tanks for 2 units + 1 electric hot water tank, 3 separate gas hot air heating systems with central air + closets & storage space. 2nd floor is a very spacious 3 bedroom, 2 bath apartment with a large bright living room with ornate fireplace mantle, open kitchen with granite bar counter, maple cabinets, electric stove, microwave, dishwasher, refrigerator and pendant lighting. Washer/dryer off hall, door to fire escape, Pergo style flooring throughout. 3rd floor has a bright front living room + kitchen with granite bar counter pendant lighting, electric stove, dishwasher, refrigerator, pantry closet and door to fire escape. 2 bedrooms + tile full bath off hall and roof top deck potential. "Check OPA for 2019 taxes due to possible citywide reassessment."